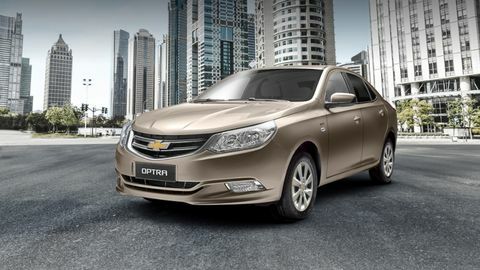 Going up against the Honda City, the Chevrolet Optra is a sedan aimed towards those who wish to challenge normality and stand out from the crowd. Eye-catching in the looks department, the Optra bears dimensions of 4.60 meters, 1.74 meters, and 1.46 meters , length, width, and height respectively. Hiding a powerful 1.5-liter 4 Cylinder engine under its sloping hood, the American sedan is good for 110 hp and 146 Nm of torque. Chucking its grunt through a Front Wheel Drive layout, the Optra accelerates to 100 km/h in 11.2 seconds and tops out short of 180 km/h. Priced at EGP 155,500, the Chevrolet Optra is an American sedan that is dedicated to those in search of great value for money. Looking for Older Chevrolet Optra Models? Looking for Used Chevrolet Optra Instead?